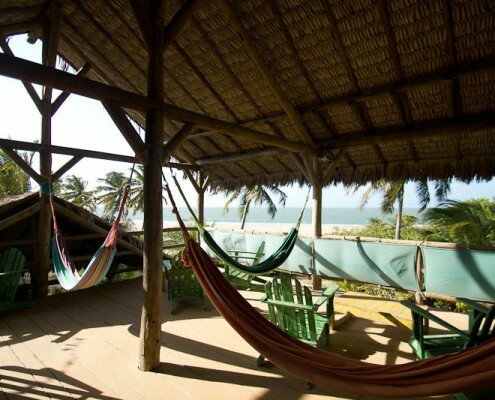 The second season offering our pousada in Tatajuba has been a blast, resulting in limited availability. Hence, a number of people have been asking for a new KiteWorldWide destination in Brazil. We consider this small fishing village of Icaraizinho, besides Tatajuba, to be a new kitesurfing dream spot in Brazil. 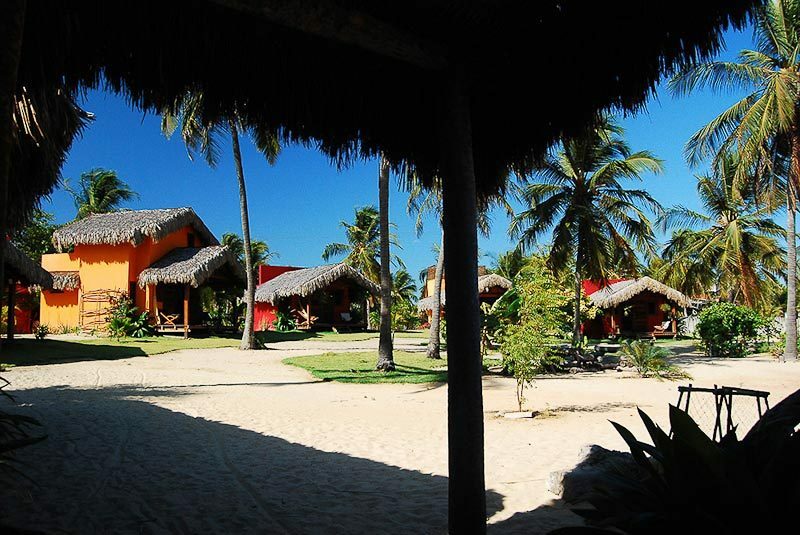 It is located on an expansive, beautiful palm grove in an idyllic bay with an endless view of white sandy beaches. 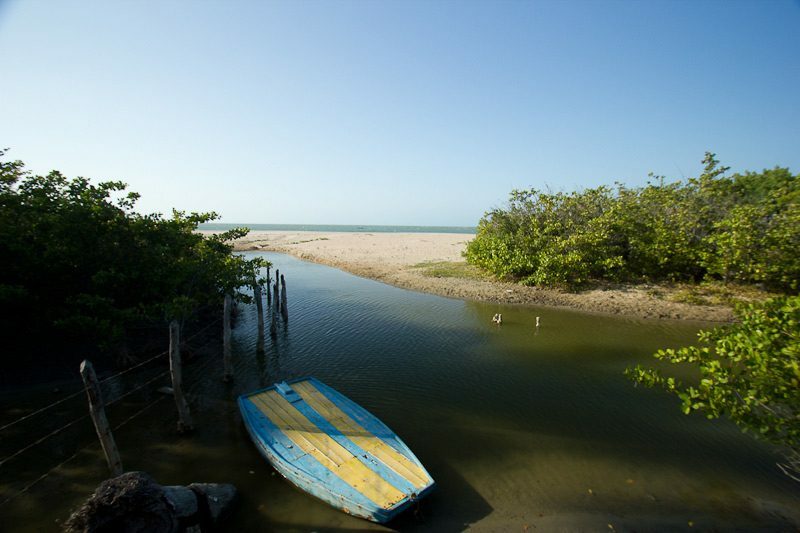 You can find this paradise approximately 170 km north-west of Fortaleza and 100 km southeast of Tatajuba. The village itself was – until a road was built last year – almost completely cut off from the outside world. 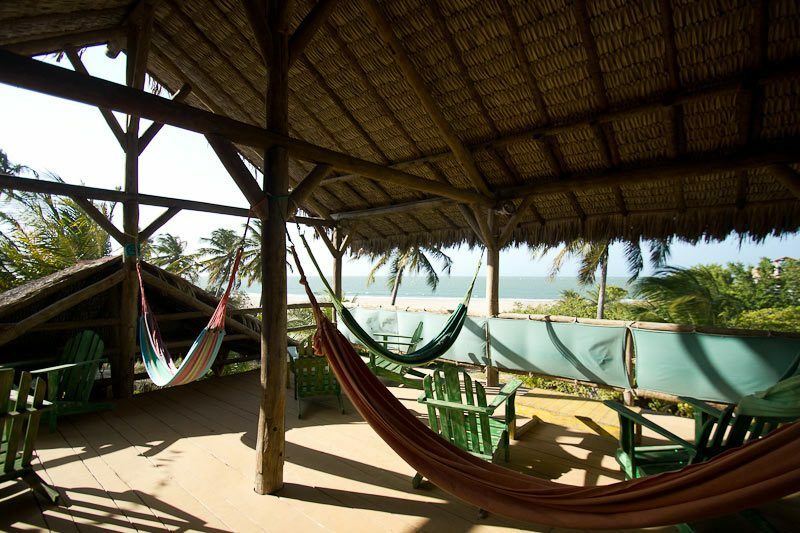 Here you can still enjoy the original Brazil in all its beauty of nature. 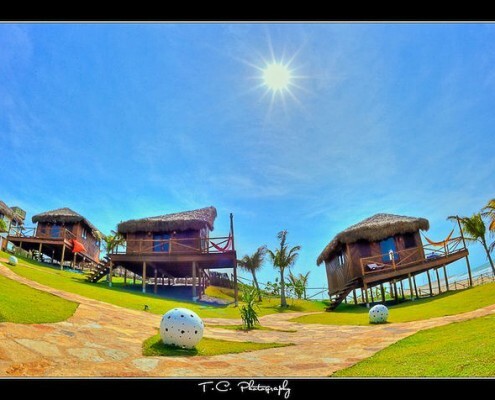 It is a simple place with very warm, helpful people showing a contagious zest for life. 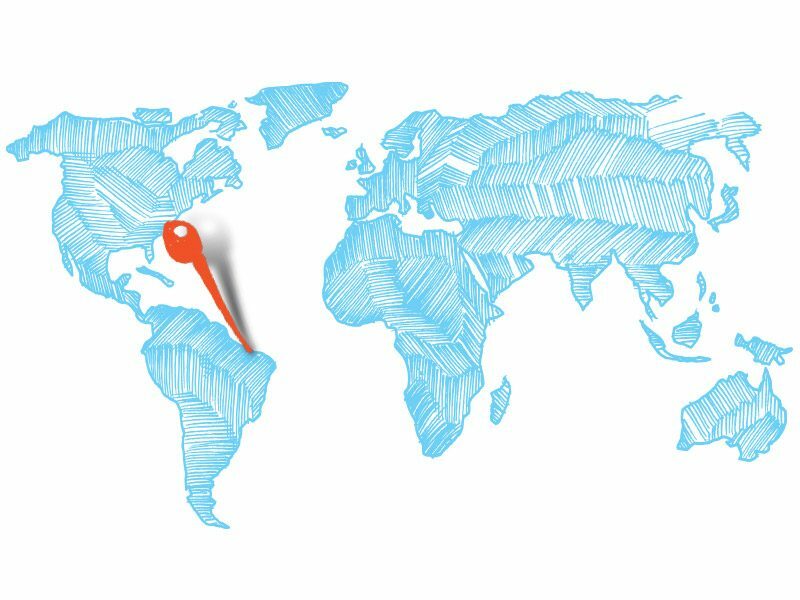 Today you can find everything you need, such as well-paved streets, good restaurants, shops and traditional bars. 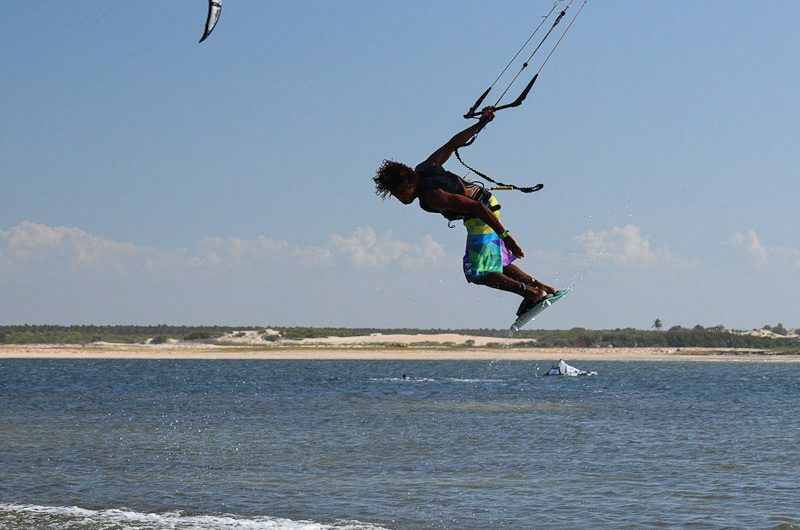 With Icaraizinho, we’ve found another spot which makes every kitersurfer’s heart beat faster, as it offers an incredible variety of kitesurfing opportunities. 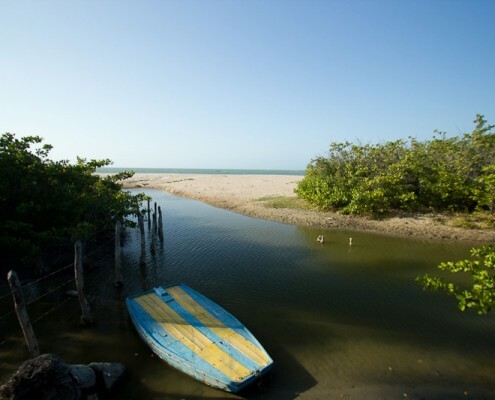 The beginners and intermediates will be stoked to discover the various empty freshwater lagoons and river mouths. 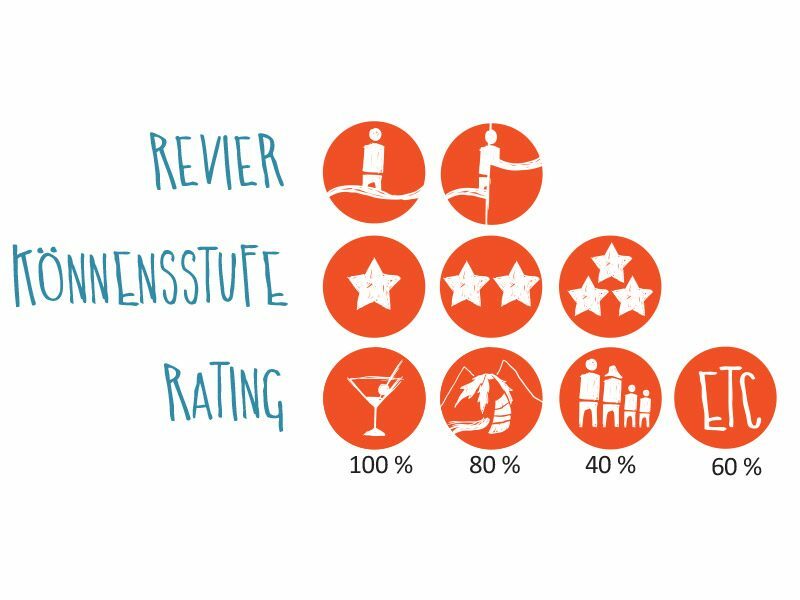 Intermediate and advanced kitersurfers can tumble around on the open sea, or discover a new passion visiting some of the nice wave spots – perfect for first attempts in the waves. The kitesurfing school is professionally managed and IKO licenced english speaking instructors will assure you quick results. You can rent brand new equipment from Liquid Force. 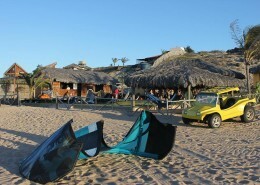 We offer you three great accommodations, each of which you are just an inch away from the kitesurfing school. 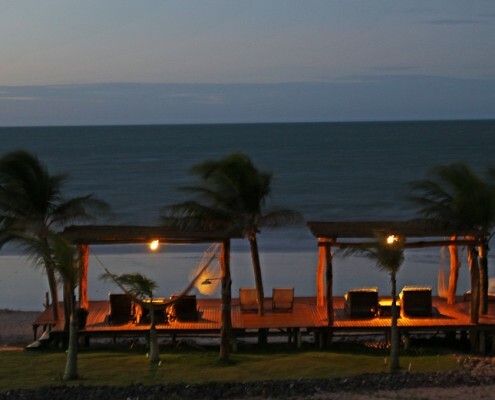 From luxury to simple, all very clean and beautiful, we offer something for everyone; simple pousada rooms and luxury wooden Brazilian bungalows with ocean view and whirlpool. 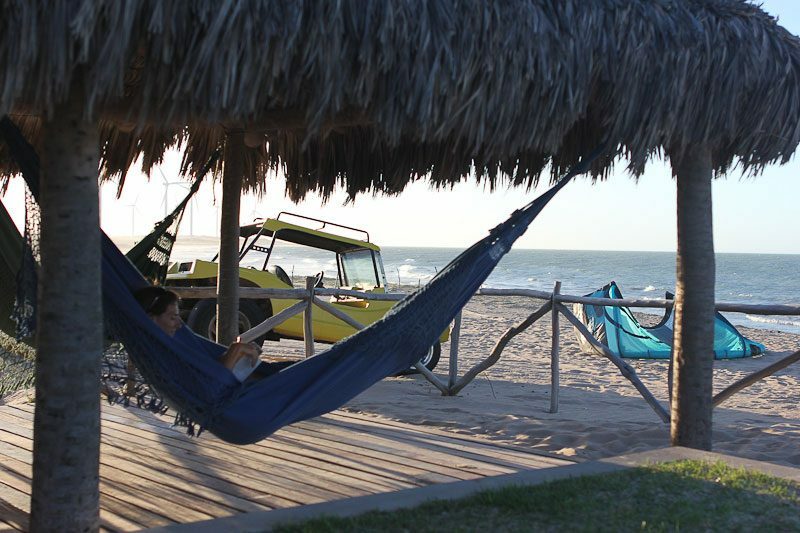 After a perfect day on the water, playing the wind and the waves, you can come back, relax and simply enjoy the chilled atmosphere around your accommodation. 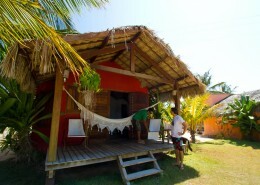 The home of Icaraizinhos lies just outside the door of our partner kite school. 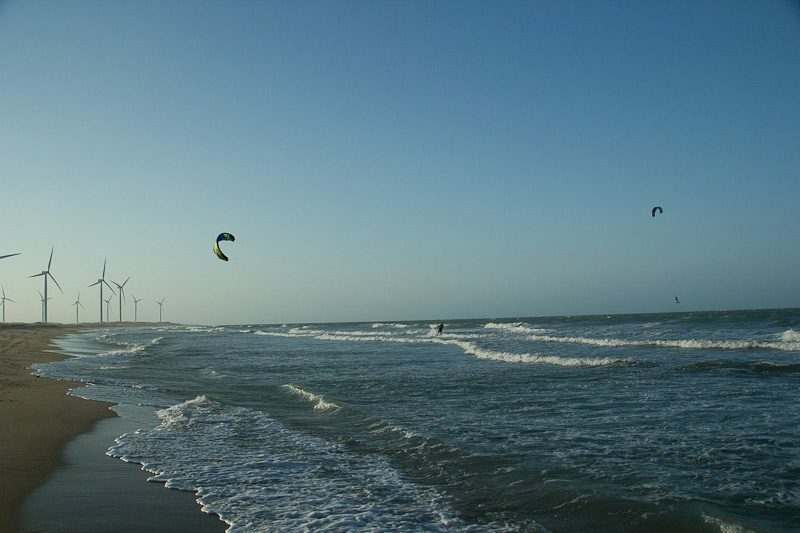 On the east side of the crescent-shaped bay of Icaraizinho the wind is slightly offshore. 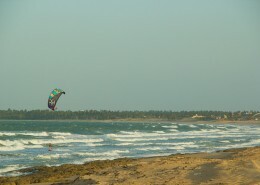 Therefore, the kite school is located in the western half of the beach. 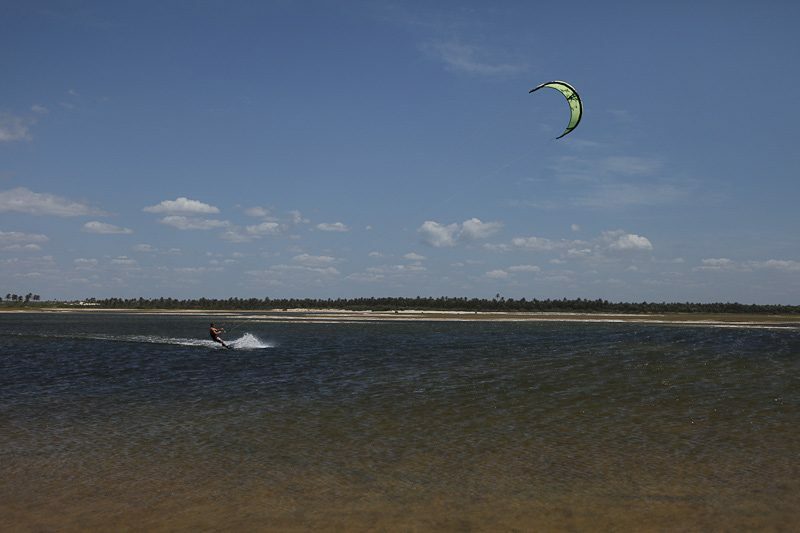 The spot is located on the open water and is a combination of flat water and waves (no shallow water) and the wind and swell depend on the tide. 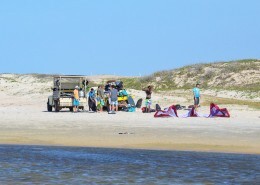 The spot is always considered ‘kite bar’. 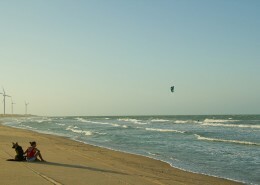 At low tide, the ocean is mostly flat and offers excellent conditions for practicing new moves. 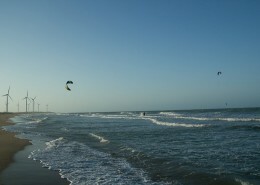 At high tide you have perfect conditions for wave kiting. In the morning the wind is slightly offshore and then turns to morning thermals, but with the onset of side-to side onshore from the right. 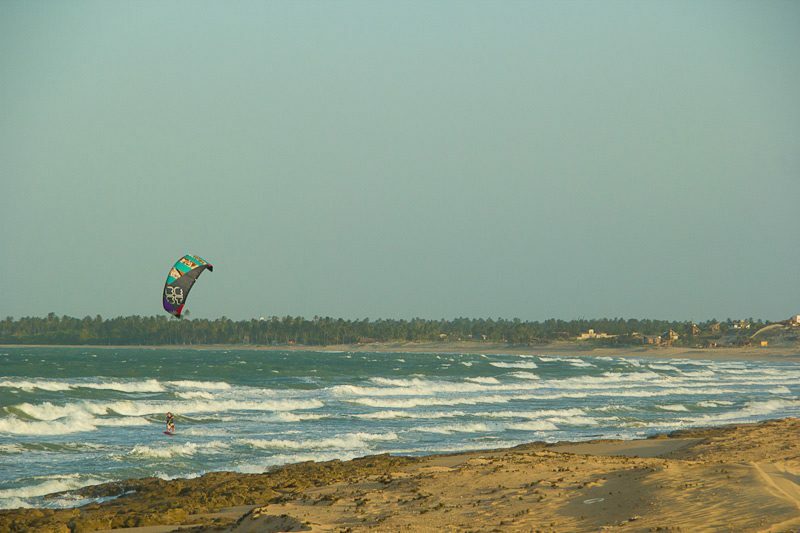 Here you can count on high wind safety, the wind does not blow quite as strong as for example in Tatajuba (usually 3-5 knots less). 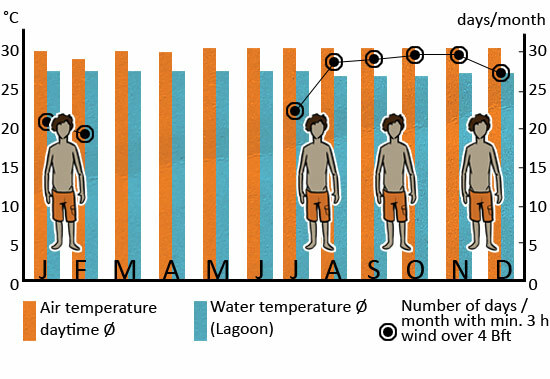 The windiest time is from July until the beginning of February. 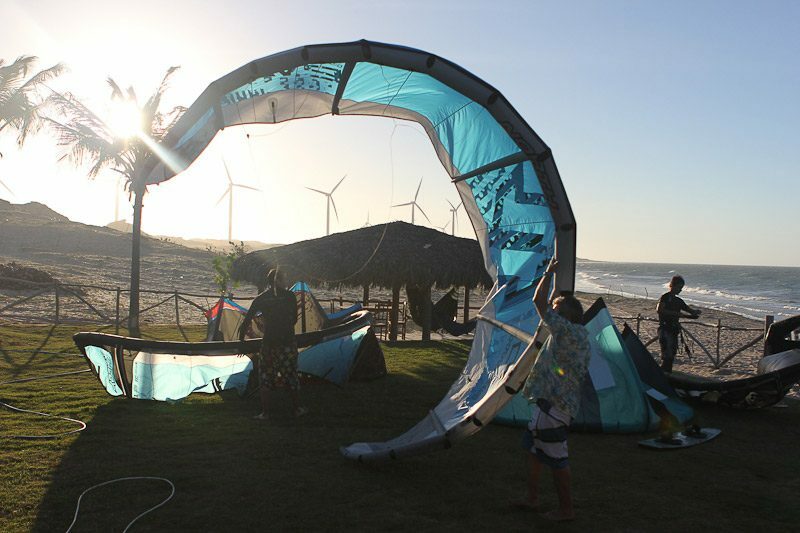 The kite school trains exclusively with the latest material from Liquid Force, great conditions for successful Kite sessions. 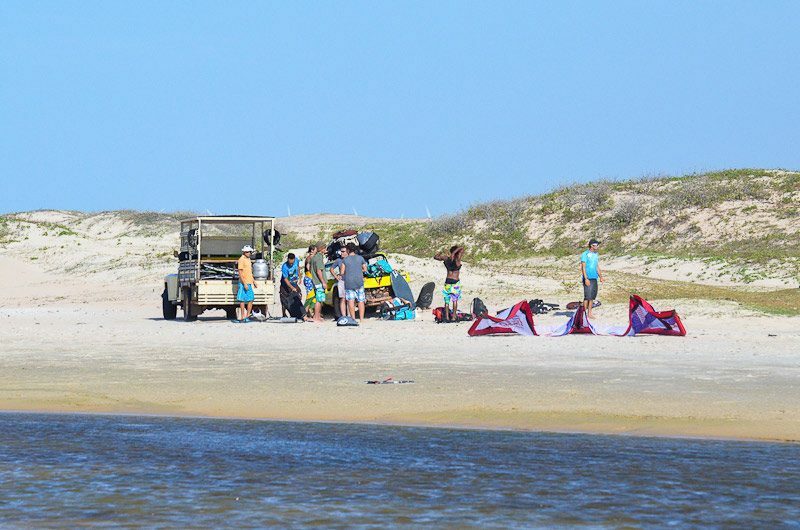 The sheltered lawn directly in front makes it easier to get to the kite school and assemble the kites, so you can start right from there on the wide, empty beach. 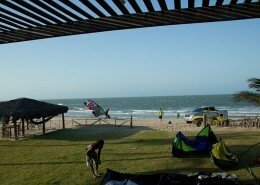 The partners of KiteWorldWide are located on the beach of the small fishing village Icaraizinho, directly at home spot. The kite school is run by Alan, an international Frenchman, and his team (all IKO licensed) nine months out of a year and brings beginners and advanced climbers with tips and tricks for great progress helps. 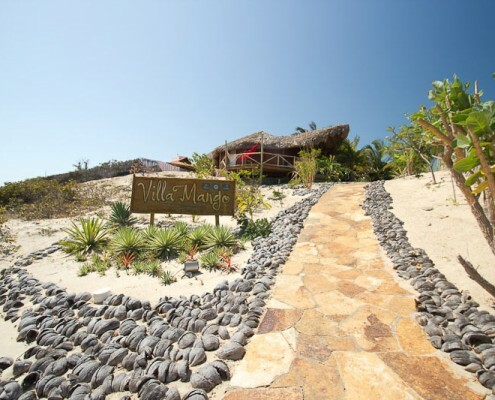 You can have lunch at the on-site restaurant of kiters and get super cheap and tasty snacks. And to quench your thirst, there are always fresh juices and cold beer. 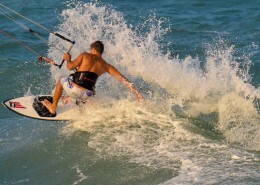 This course is for absolute beginners who have no experience with kitesurfing. This 12 hours course will get you up and running. This course is designed for those, who want to learn all the basic theory and techniques from scratch. Implementation guarantee: In case only one person subscribed for the course, it will be held on a reduced (1/3) hourly basis. 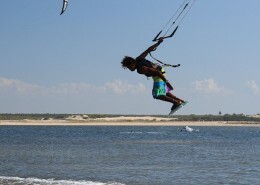 This course is designed for those of you, who already have some experience board sports or kitesurfing. Within the 9 hour of this course, you will be taught all the necessary techniques to obtain control and to have fun practicing your first jumps, transitions and other tricks. 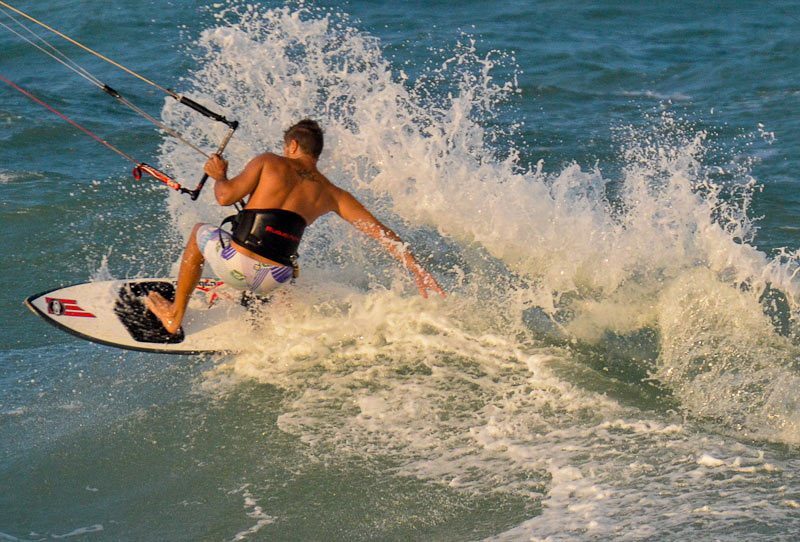 You are already an experienced kitesurfer but haven’t been kitesurfing for some time or you really want to rock those tricks you have been practicing? Then, this 3 hours course is just right for you. It will get you to the point where you left last time you were on the water or even further. Close (approx. 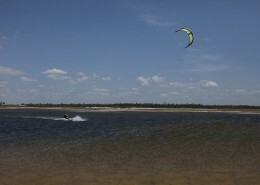 10 to 20 minutes by car) there are several spots like estuaries and freshwater lagoons. 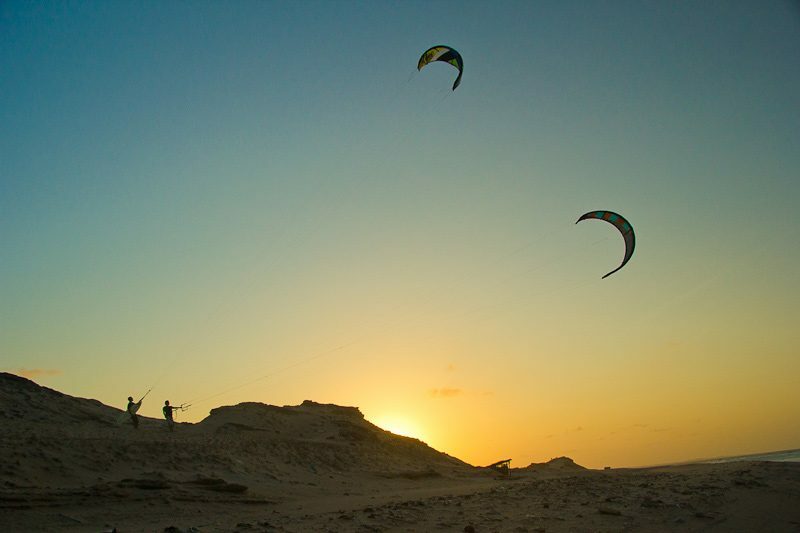 These make a great destination for kite trips, which are offered in relatively distant places from the kite school (extra fee). 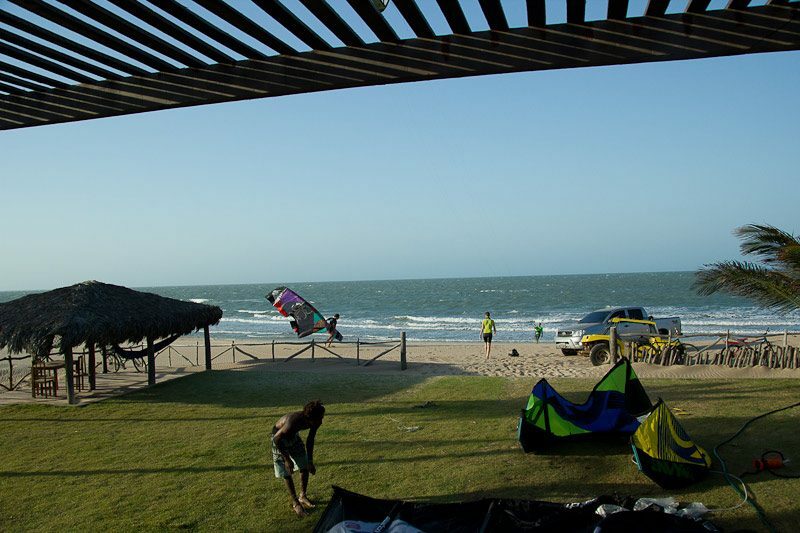 We offer three great accommodations in Icaraizinho, each of which you are just a stone’s throw away from the kitesurfing school. 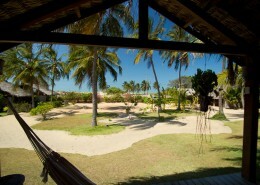 From simple, but very clean and beautiful pousadas to bungalows with ocean view and whirlpool. There is something for everyone. 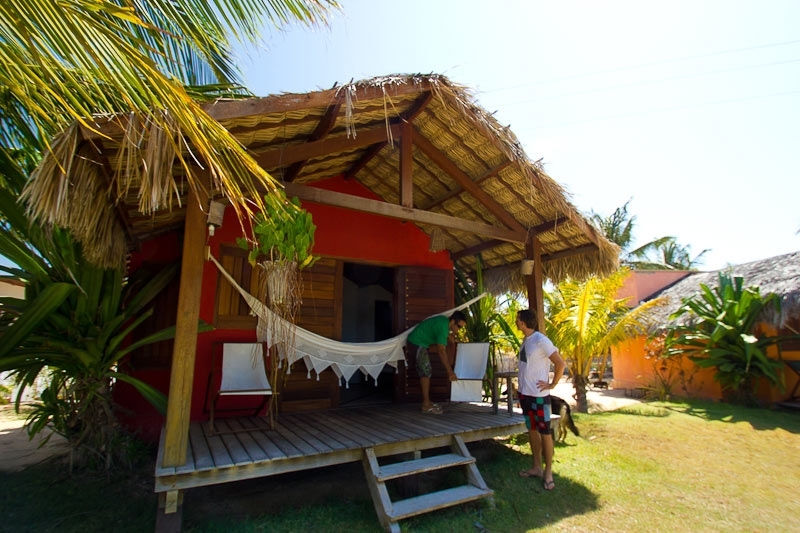 All accommodations possess this Brazilian style and atmosphere, where you will find your way to relax and enjoy after a perfect day on the water rocking the waves and the wind. 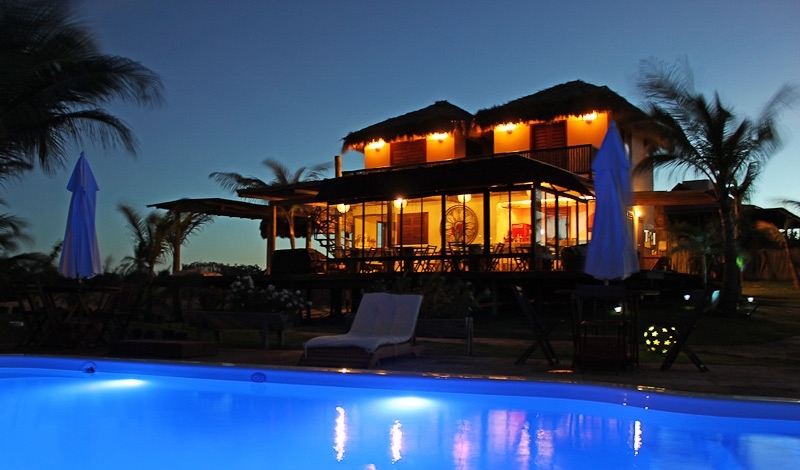 The Pousada Pais Tropical was built by an architect from the village Icaraizinho. 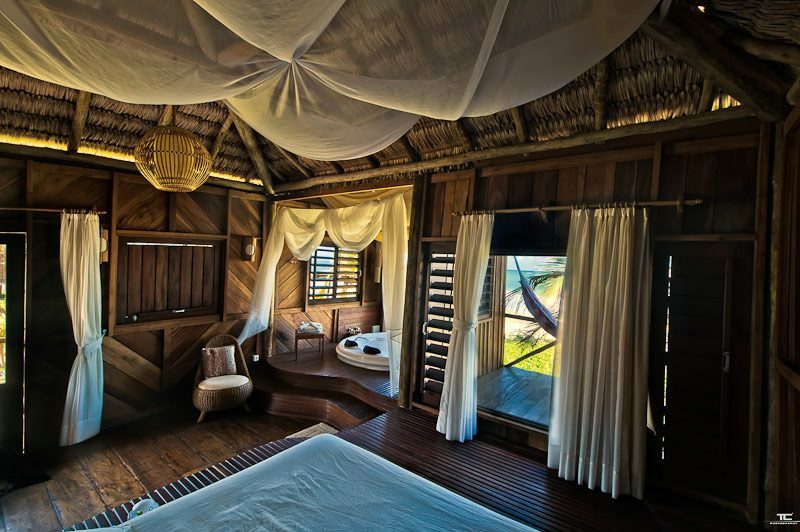 This Pousada convinces with its combination of modern comfort and Brazilian charm consturucted with different components from exotic woods and the carnauba palm. 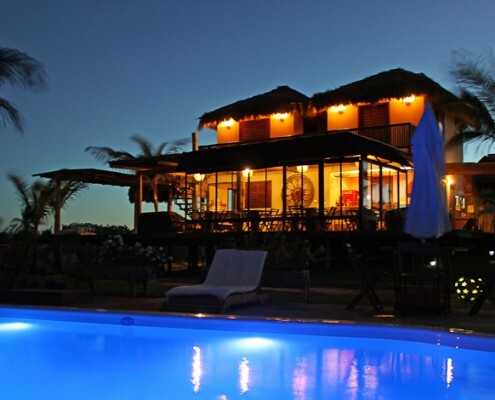 The individually designed Pousada is located near the beach, with a terrace overlooking the garden. 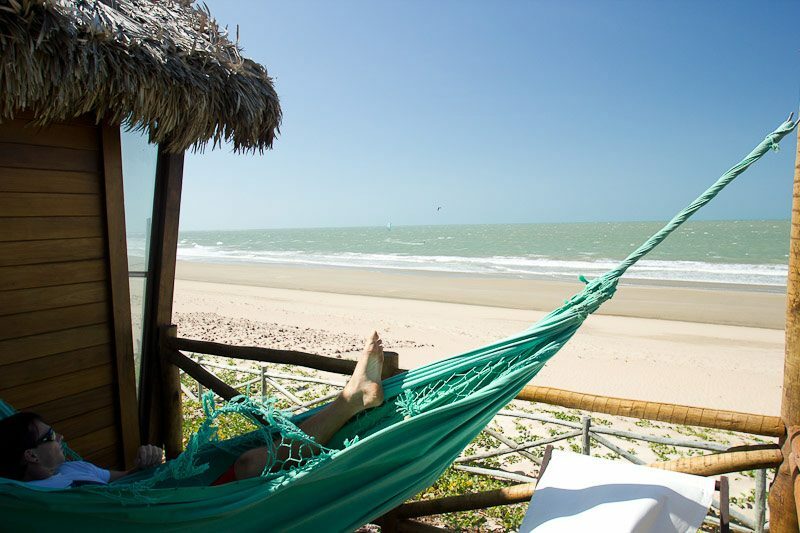 For your chill time, a hammock and lounge furniture is available, as well as a king-size bed, an individual bed and a refrigerator. 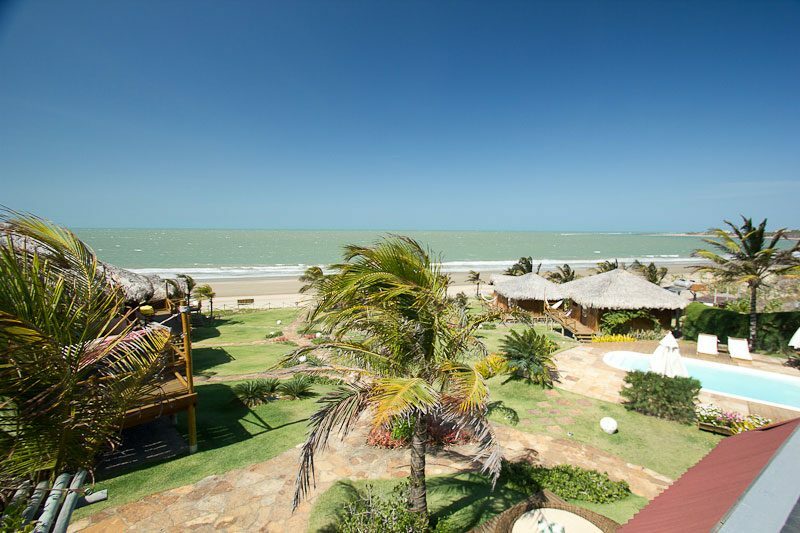 The Pousada is located in the western part of the bay, just 100 meters from the beach and a five minute walk to the kite school. In this Pousada you are served a hearty, delicious breakfast. At noon snacks and light meals are provided in the kite school. As for all other meals, you can find many excellent restaurants in the vicinity. If desired, you can get check the website for the best insider tips for different tastes. We would recommend trying the lobster coconut milk soup! 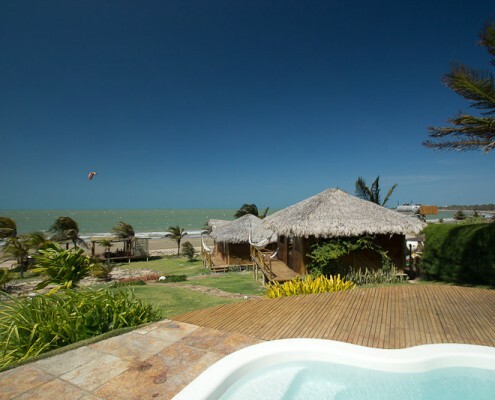 The Pousada Casa Zulu, consisting of two brand new bungalows and a main house (six bedrooms in total) is an awesome kiter’s accommodation with direct access to the beach. 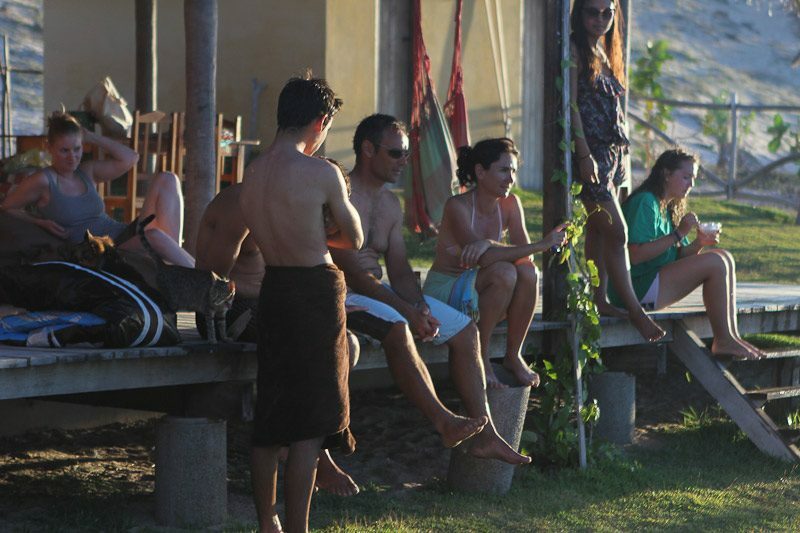 Here you can relax after a hard kite session in the hotel pool, at the Zulu Bar, or enjoy the atmosphere in the chill area. A rich, hearty breakfast is served daily from 7:30 till 10:00am. 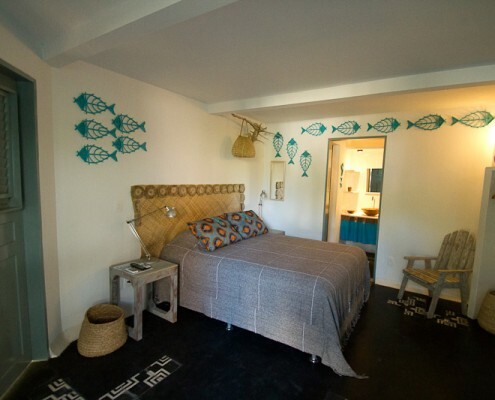 The Brazilian bungalows are equipped with a minibar, TV, air conditioning and a private terrace located depending on the bungalow (Garden Bungalow, Pool Bungalow, Garden Rooms) either overlooking the spacious idyllic green garden, the turquoise pool or the ocean. The rooms in the main house are a little smaller but nevertheless are a great accommodation. 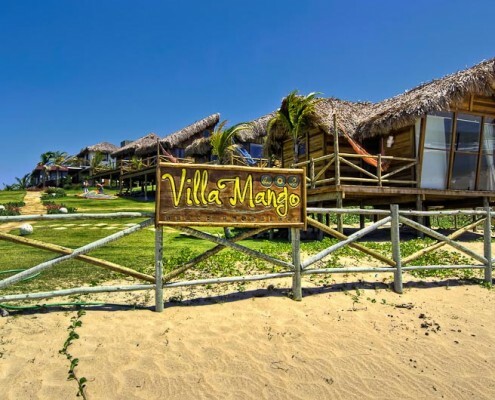 The eight Villa Mango beach bungalows are situated in a fantastic location right on the coast with stunning views of the Icaraizinho bay. 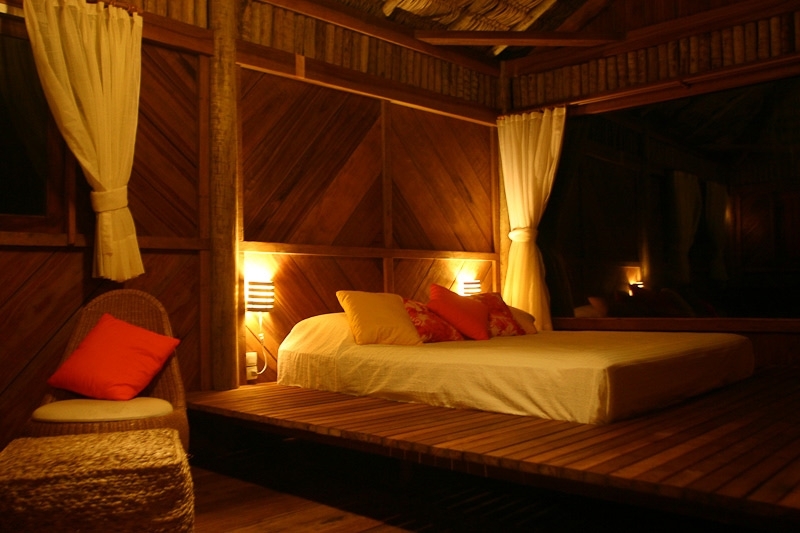 This accommodation is a combination of incredible charm, rustic architecture and comfort. 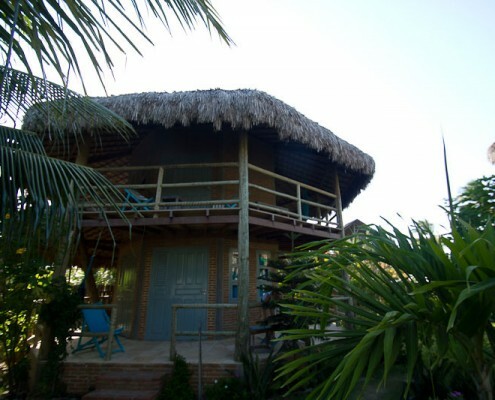 All bungalows are made of eucalyptus wood in the typical Brazilian style and are built on stilts, so the natural wind regulates the climate in your bungalow. 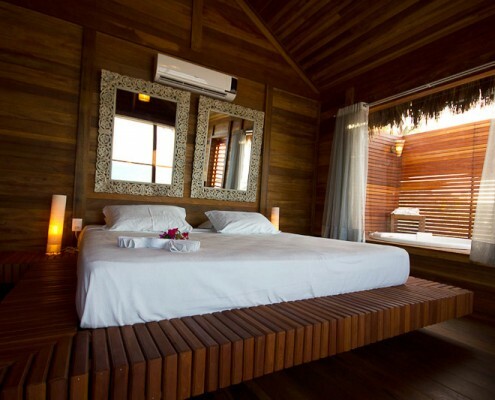 All bungalows are equipped with a chic bathroom and some even include a private Jacuzzi overlooking the sea. 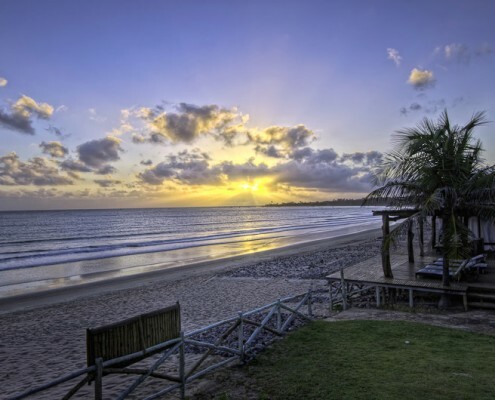 Here it’s hard to choose between the many offers … Whether to enjoy a cold beer while watching the sunset over the ocean, in the pool or Jacuzzi relaxing, pampering yourself with a massage, or at an in-house, excellent a la carte restaurant feast. 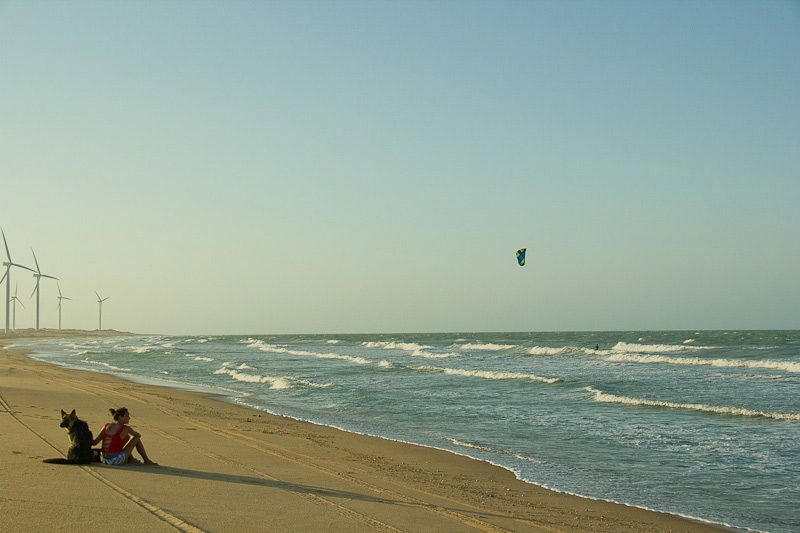 If you wish to be a little more sporty and did you not exhaust yourself enough from kiting, you can also play a game of squash on the private court. 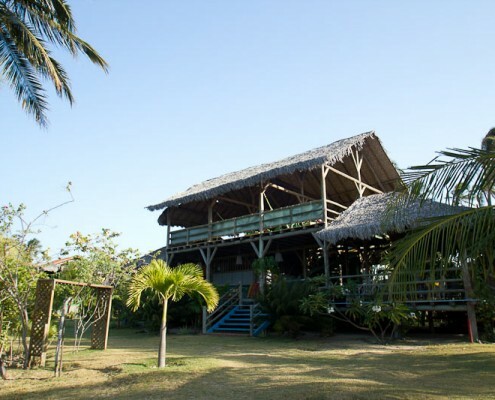 This bungalow is next to the water and includes a super king-size bed (2×2 meters), two balconies, air conditioning and a grand ocean view! 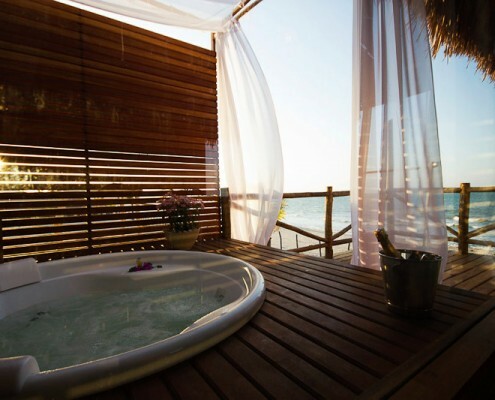 And finally, you can relax in your private outdoor Jacuzzi for a more romantic atmosphere. 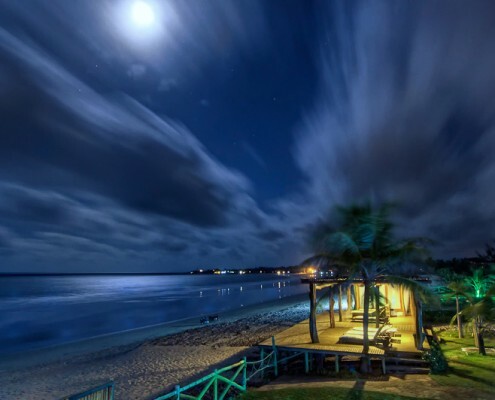 This bungalow is just steps from the beach and also offers a great view of the water. 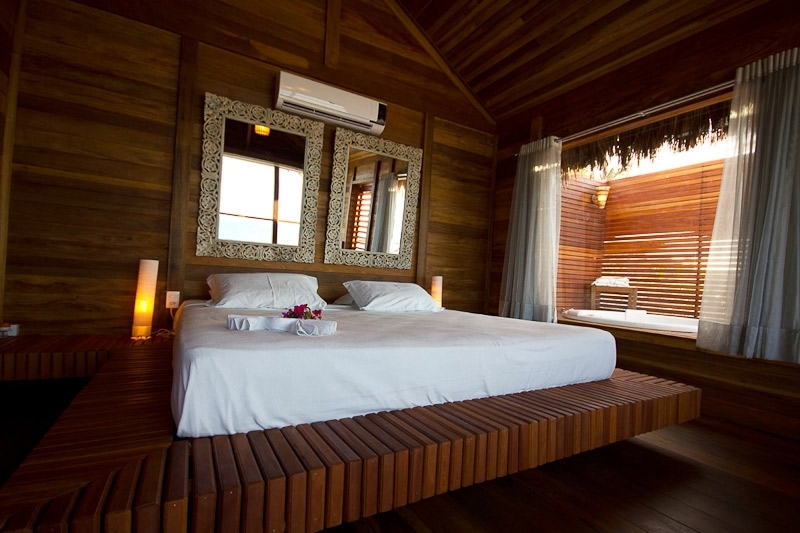 A king-size double bed is ready for unconditional relaxation, and a private Jacuzzi with an ocean view! 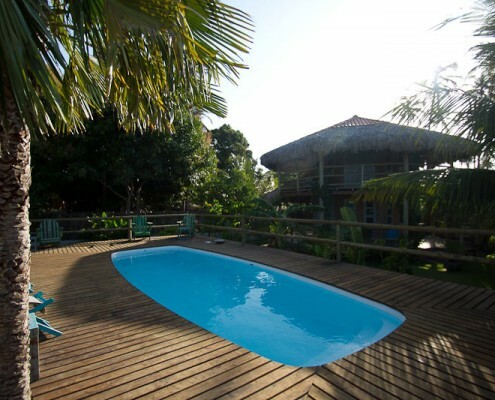 This bungalow offers you a large Jacuzzi overlooking the sea, a king size bed (2x2m) with ocean views and two balconies (east and west). The interior is very large and has air conditioning. 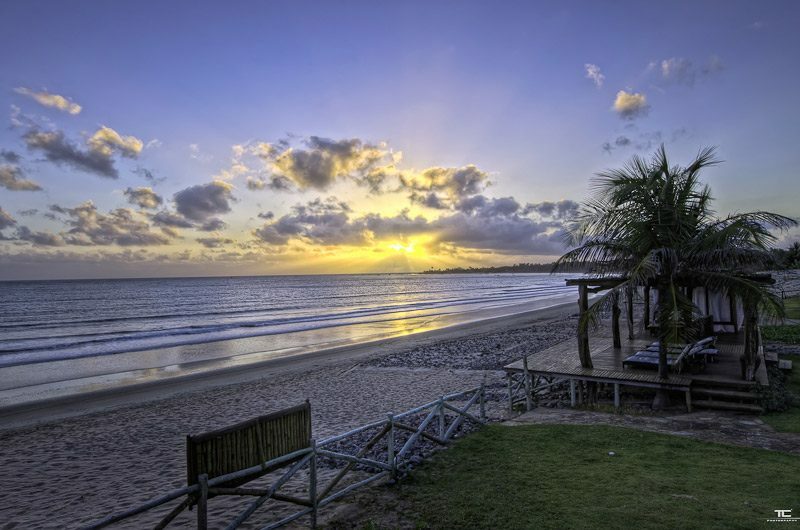 The ocean is just a few steps from your front door! This bungalow has enough space for four people. 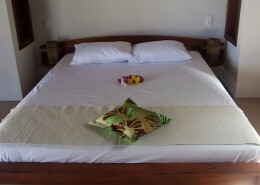 It is equipped with a double bed and two single beds. 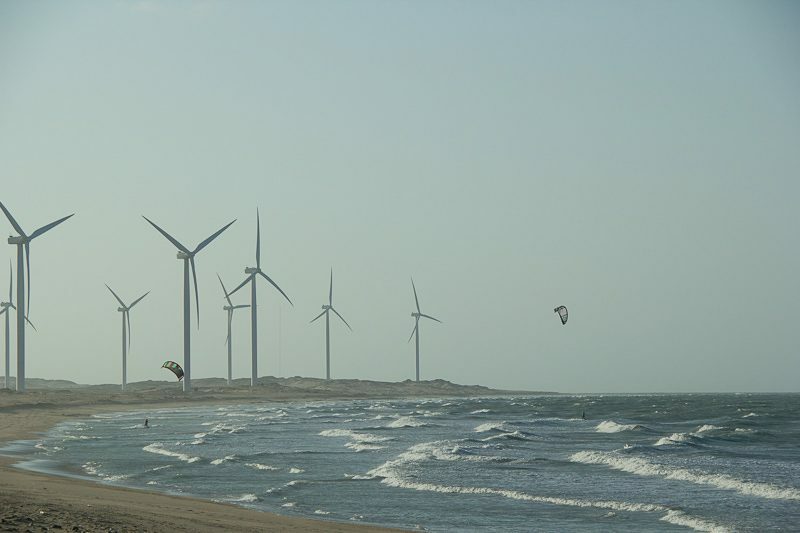 The property is architecturally built allowing the wind to perfectly regulate the climate of the interiour. 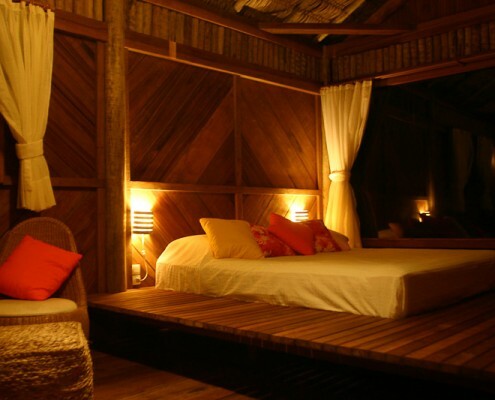 In this accommodation you have a great ocean view from the bed! 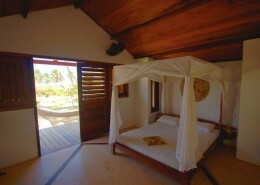 It is equipped with a king size bed (2×2 meters), two balconies (east and west), air-conditioning and is super spacious. 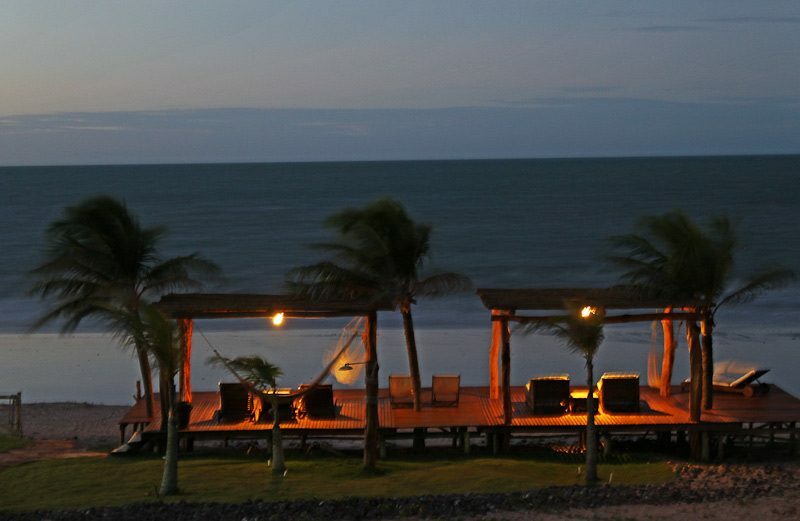 The apartments are located at the highest point of the entire accommodation and therefore have an unbelievable view ranging from the ocean to the beautiful palm forests. 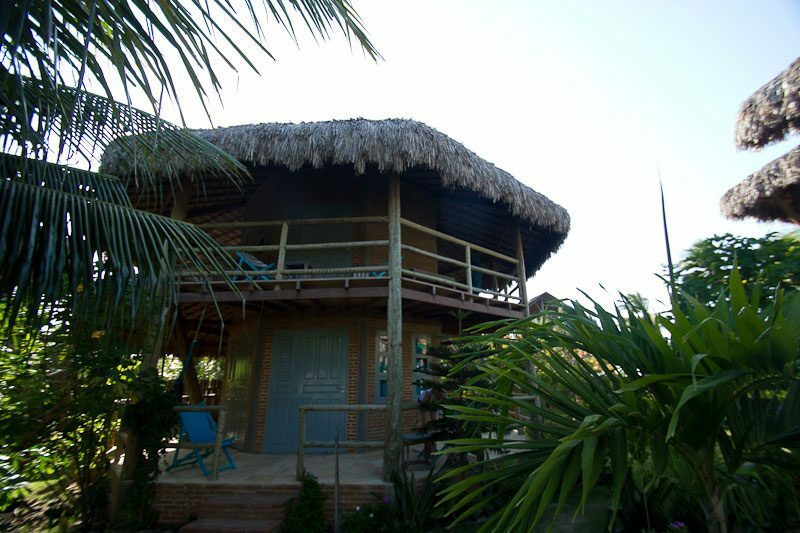 It is built in an original, rustic look and is equipped with air conditioning. 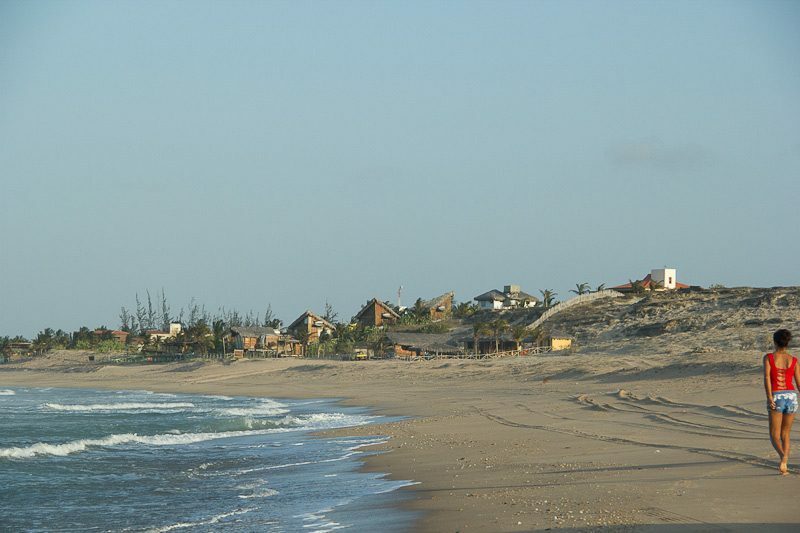 The beautiful quaint fishing village of Icaraizinho is located in northern Brazil, on the coast between Fortaleza and Jericoacoara and is a true hidden kiters paradise. 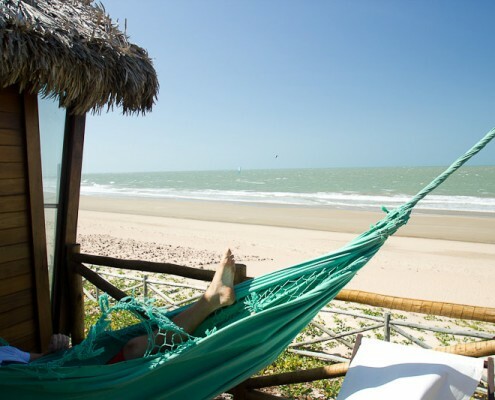 Until not too long ago, barely any kind of tourism could not be found here to admire the Brazilian nature: endless white sand beaches lined with coconut palm trees. 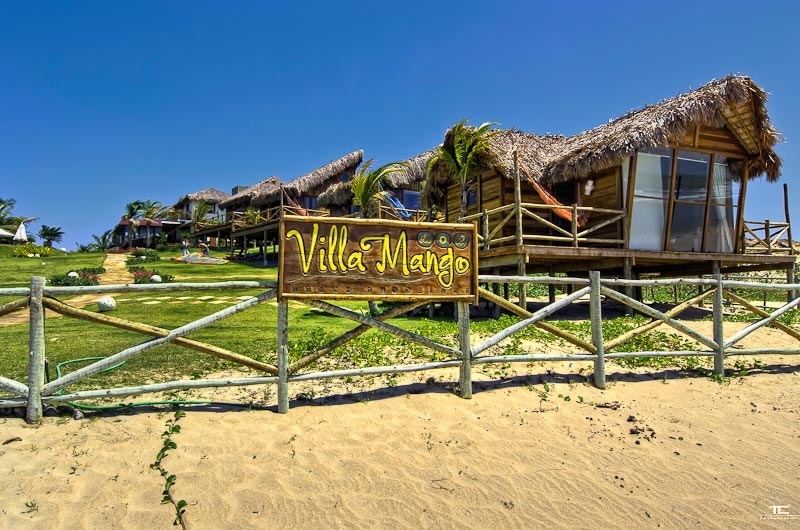 The small village is built on sand and has been charming everyone with its red sand roads and many narrow streets, where there are hidden countless quaint, traditional restaurants, cafés, bars, craft shops, internet cafes and plenty of traditional shops. And the myth of Brazil is not yet unfounded, because hardly anywhere else will you find such friendly, open and helpful people as the people in Icaraizinho. 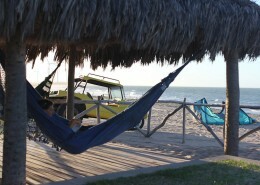 In the resort you will find some excellent restaurants for all tastes. 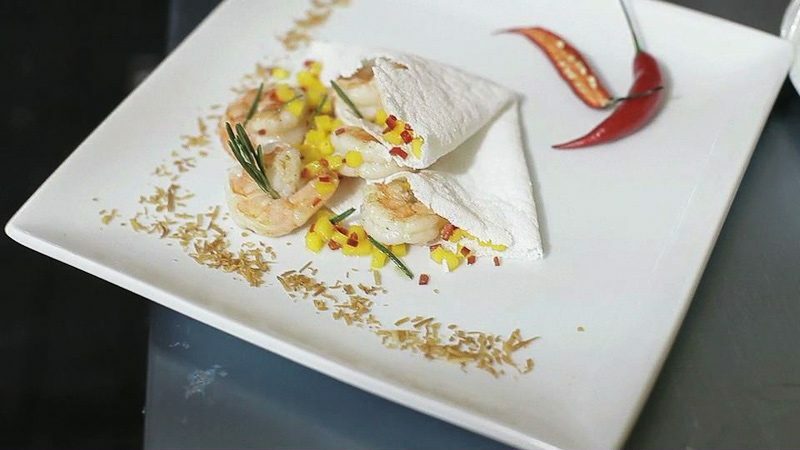 Whether pizza, fresh fish or steaks and of course the Brazilian delicacies, there is something for every taste and budget. In our mostly rather remote destinations, we put great emphasize on the cooperation with farmers, fishers and markets from the surrounding villages. 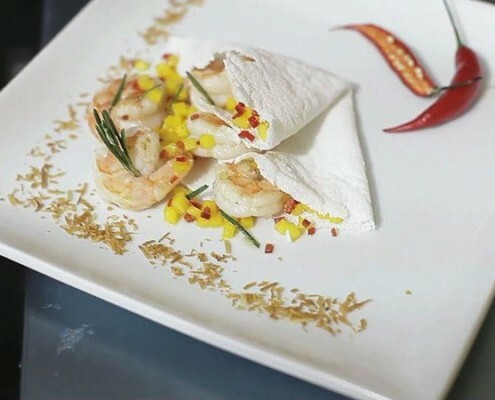 Due to the use of regional and seasonal products, we ask for your understanding that specific diets can only be considered very little – such as lactose free, gluten free or vegan dishes. 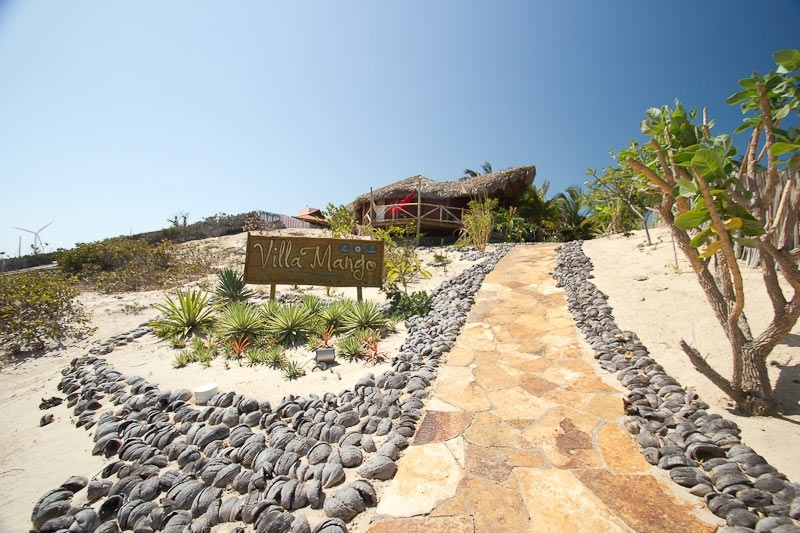 The main beach is located only one minute from the Villa Mango, 5 minutes from Pais Tropical and 8 minutes from Casa Zulu. 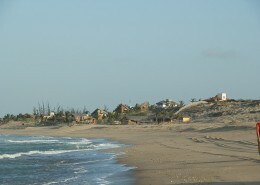 Icarizinho is located 190km (ca. 2.5 hours) from Fortalenza. 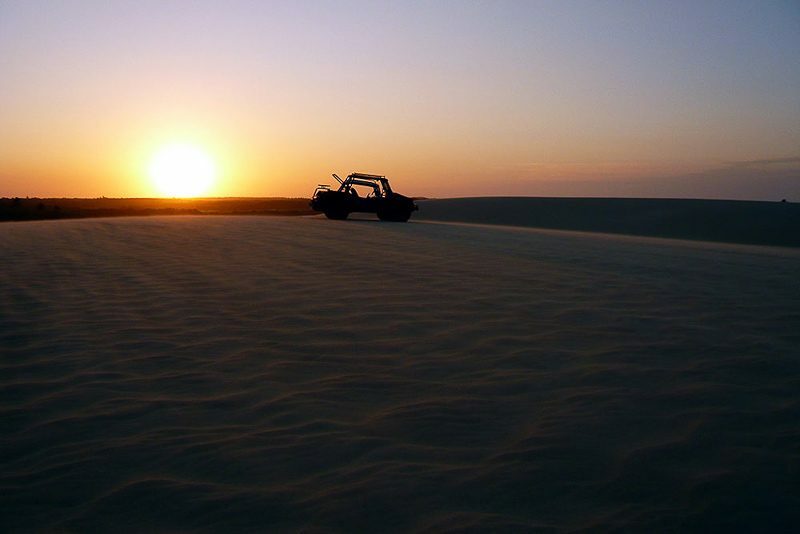 150km (ca 2 hours) further you’ll find Tatajuba. 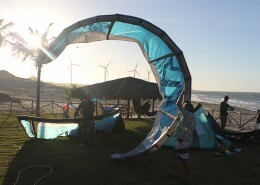 Kitegear: board, trapeze, bar and kites.